What is a Maid of Honor? The maid of honor or matron of honor is a bridesmaid that typically holds several important duties. The maid of honor is the leader of the bridesmaids and the bride’s go-to during wedding planning. They are the brides go-to for wedding details big and small before the wedding and after. It can get a bit confusing with all these new terms, but simply put the maid of honor and the matron of honor roles are the exactly the same. The difference between a maid of honor is that she is unmarried whereas a matron of honor is married. Can Your Maid of Honor Be a Man? Absolutely! While traditionally the maid of honor was a position held for a bride’s best female friend times are changing. Mixed gender bridal parties are all the rage and with men serving in both sides of the bridal party why shouldn’t your best male friend serve in this critical role. How Do You Pick Your Maid Of Honor? Because the maid of honor is a critical role during wedding planning and on the wedding day it is important that you put some thought into who will be standing by your side. Choose someone who is reliable, responsible, and most importantly knows you very well. Often times brides elect their closest family member maybe a sister, cousin, aunt, or a dear friend they have known since childhood. Whoever you select make sure they are willing do fulfill any obligations you will throw their way. If you still aren’t sure how to pick your maid of honor, check out these signs your maid of honor is the one and how to pick your bridesmaids. So what exactly does your maid of honor do? We break down the key roles and responsibilities of your made or matron of honor below. 1. Make sure that all bridal party hair and makeup is done on time. If there is no coordinator or planner, you’ll need to make sure you and the other bridesmaids are staying on track to be ready for the ceremony. The bride shouldn’t have to worry about whether you or someone else will be late. 2. Hold important items during the ceremony. You’ll need to bring the groom’s ring up to the altar during the ceremony. Or, coordinate with the best man on the smartest and safest spot for the ring. You might also need to take the bride’s bouquet when the couple exchanges their vows. 3. Arrange the bride’s train while at the altar. To make sure the bride’s dress looks stunning in photos, you’ll need to rearrange the train of her dress (if there is one) so it lays flat on the ground. 4. Stand in the receiving line. If the newlyweds have a receiving line after the ceremony, you’ll need to stand in it and greet their guests. 5. Sign the marriage license. To make it official, both you and the best man will sign the marriage license as witnesses. 6. Bustle the dress if necessary. If the dress needs to be bustled, you and the other bridesmaids will need to help. 7. Help the bride use the restroom. If she has a large gown, she’ll most likely need help maneuvering the dress. Help her use the restroom whenever needed. 8. Dance with the best man. While it’s tradition for the best man and maid of honor to dance during the formal announcement sequence, this won’t always be necessary. Just be prepared to dance if needed. 9. Give a toast. It’s optional for the maid of honor to give a toast. But if you’re not afraid of public speaking, we highly suggest it! It’s a great way to show your love and support for the couple. 10. Help the bride change into a reception dress or honeymoon outfit. If the bride is changing into a short dress after the ceremony or getaway, you’ll need to help her remove her big day dress. 11. Collect gifts and envelopes. To keep gifts and money safe, you’ll need to take them back to the couple’s home or hotel room. 12. Take any bouquets, flowers, or decor the bride has asked you to. If the bride has instructed you to take home any important items, you’ll need to plan to pack those things up as well. 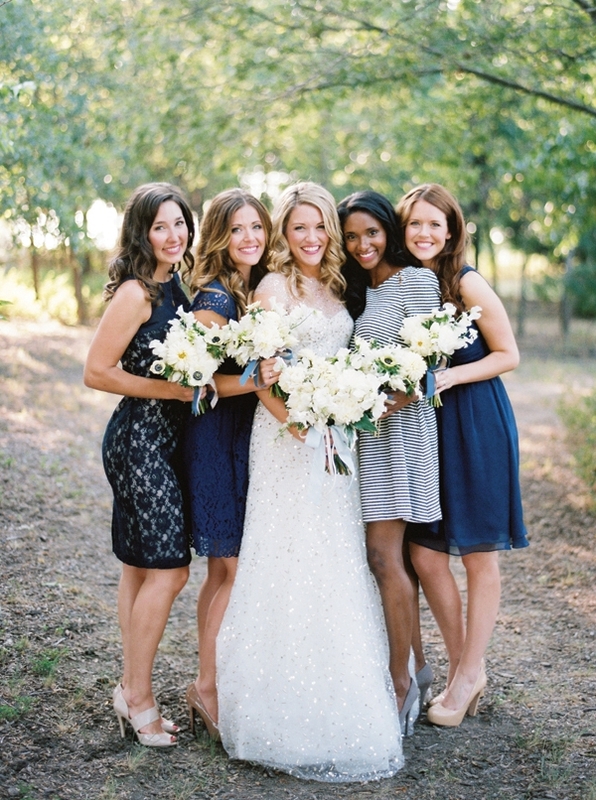 Want more bridesmaid and maid of honor tips?